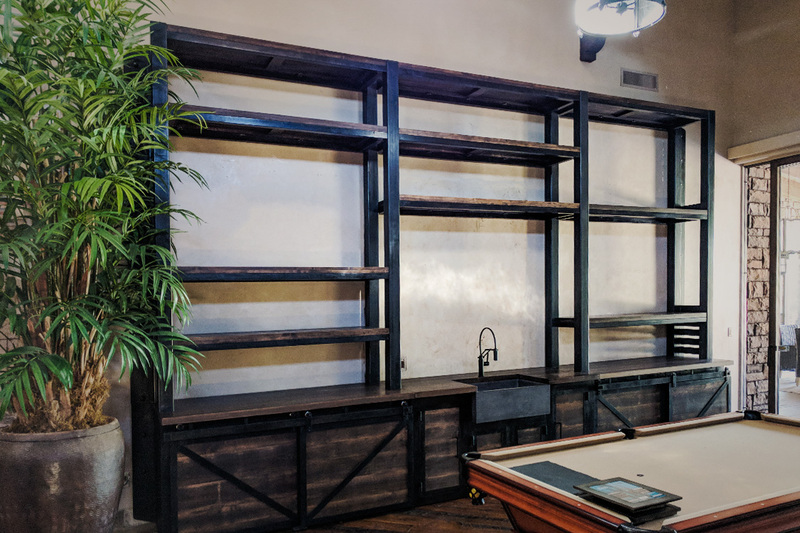 This massive entertainment center measures at 14 feet high and over 20 feet long. 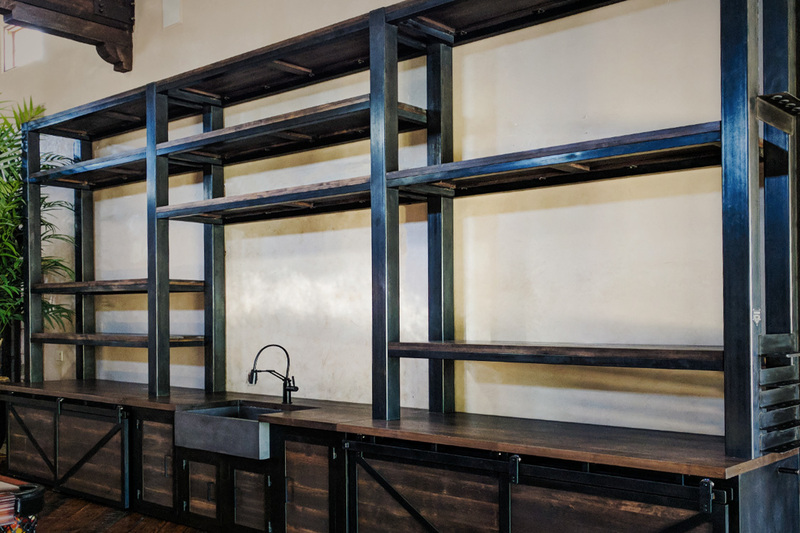 Featuring 4” tube steel columns as a base, this piece incorporates 2” thick alder shelves, hand finished to match the client’s décor. 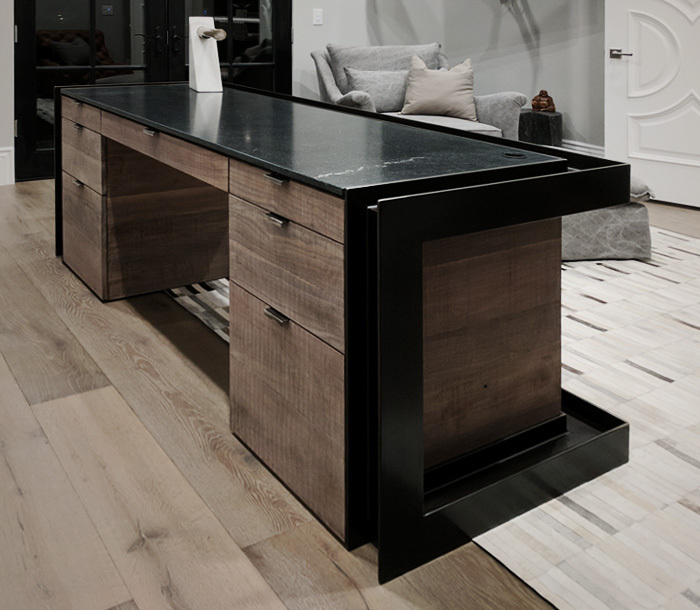 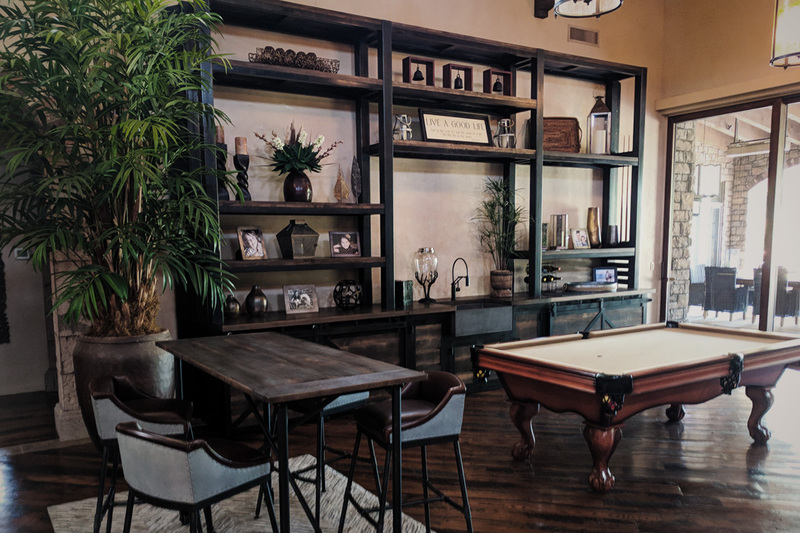 Storage for pool cues and balls, a massive stone sink and a custom space for a flat-screen TV have all been integrated into this one-of-kind piece. 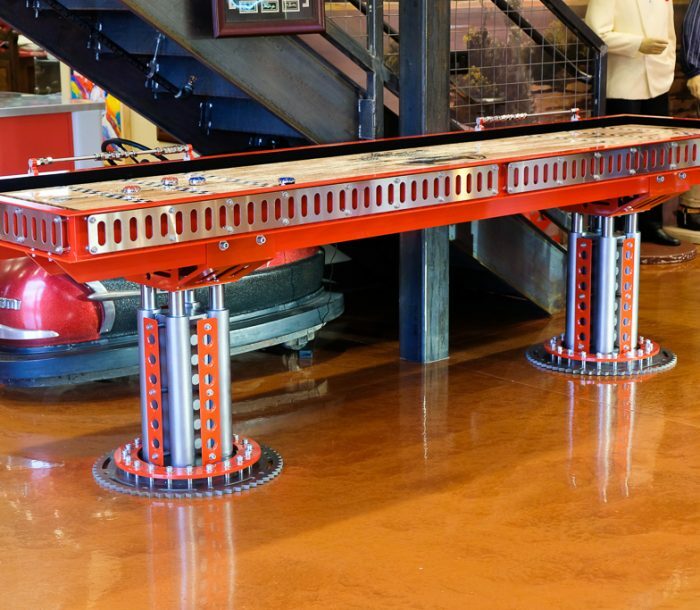 The sliding barn doors on the base of the unit ride on a custom designed wheel/rail system.